In 2005, AASB began to investigate the potential of a 1-to-1 (laptop to student) initiative as a means to help students develop 21st century skills, improve achievement and prepare for success in the global economy. AASB advocated for a consortium that would coordinate state funding to assist districts in transitioning to digital learning. In 2006 and again in 2008, the AASB Consortium for Digital Learning (CDL) was awarded capital funds in the total amount of $7.5 million by the 24th and 25th Legislatures for two separate rounds of projects. With those funds, more than 100 1-to-1 laptop projects in over 28 school districts spanning a four year project timeline were implemented. Over 12,000 end users were impacted by these projects. 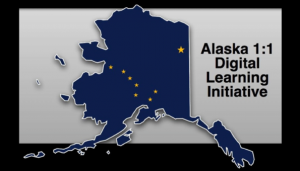 Building upon six years of 1-to-1 implementation experience, in early 2011 the CDL project model was re-engineered to support all areas of digital learning and be expandable to include all Alaska students and teachers. To accomplish this, foundations have been put in place for a statewide system of digital learning support through a provision of services. CDL now assists policy makers to understand the scope of their district’s initiative, provides improved support to districts in planning, launching and sustaining successful digital learning projects, and works with school administrations to provide needed support for implementation at the classroom level. In addition, our focus includes pursuing legislative support for our efforts, further developing strategic partnerships with a network of organizations, vendors and service providers, and providing the mechanisms for schools to gain advantages in purchasing power, professional development, and digital content.